Services giant Capita may have breached the terms of its own government-approved contract for providing temporary workers to the public sector. Capita is already under fire from SME suppliers involved with the controversial Contingent Labour One (CL1) framework that it runs for sourcing temporary staff for Whitehall departments. Computer Weekly has seen a copy of what appears to be a LinkedIn message sent by an employee of Capita Resourcing to a government buyer. In the message, the Capita staffer said he had “been made aware” that the message recipient had purchased services through the CL1 framework, and appeared to tout for business for his division. To avoid any conflict of interest, the CL1 deal is managed by a separate subsidiary of the company – Capita Business Services. Under the terms of the contract, the group’s own provider of temporary workers – Capita Resourcing – has to receive the same status and treatment as any other third-party agency. 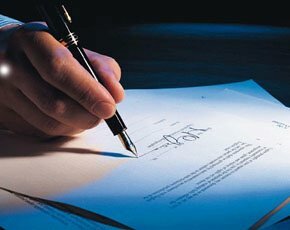 Under the terms of the sub-contract that Capita Business Services signs with all third-party providers on CL1, a number of clauses prevent sub-contractors from approaching government buyers to solicit business. SME IT services suppliers have lost tens of millions of pounds in business after refusing to sign up to a controversial £2.45bn Cabinet Office agreement with services giant Capita. A group of small businesses that claim to have lost significant amounts of revenue through two controversial government contracts have submitted a complaint to the UK competition regulator. CCS has been labelled “dysfunctional”, accused of undermining government policy to increase the use of SME suppliers. According to a legal expert, Capita Business Services may be in breach of the terms of its contract with the government’s purchasing agency, the Crown Commercial Service (CCS) - and Capita Resourcing may also be in breach of its contract with Capita Business Services. “The note seeks to solicit business away from under the Capita/CCS CL1 Framework to contract directly with Capita Resourcing – a totally different entity from that signed up to CL1. This practice is both unethical and in breach of a significant number of the CL1 sub-contract terms and, we would envisage, the framework terms between CCS and Capita. It seeks to circumvent the public procurement rules by allowing Capita Resourcing to contract within the space currently awarded to Capita's managed service arm under CL1,” said a legal source with knowledge of the CL1 contracts. Capita admitted the message should not have been sent but insisted it did not mean the firm is in breach of its contracts. “We are aware of this communication and acknowledge it was sent in error. We have taken steps to make sure that all future engagement with government departments regarding the frameworks is conducted via the correct channels,” said a Capita spokeswoman. Computer Weekly has learned that the National Audit Office (NAO) is considering a review into the value for money of government arrangements for procuring consultancy services and temporary staff. This study would include the CL1 framework, as well as the ConsultancyOne agreement which has also been criticised by SME suppliers. A group of small businesses has already referred the CL1 deal has already been referred to industry regulator the Competition and Markets Authority. The consortium of SMEs claims to have lost significant amounts of revenue as a result of the framework. The consortium comprises more than a dozen SMEs, all sub-contractors to one of two framework agreements won by Capita – Civil Service Learning (CSL) and Contingent Labour One (CL1) – set up to source training services and temporary workers, respectively, for the public sector. According to the group, suppliers to CSL were required to sign a sub-contract with Capita containing a “restriction” clause, which they said prevented them from competing and bidding for the re-tendering of the contract. They said similar restrictive clauses are also present in CL1 contracts, also run by Capita. The National Audit Office has already announced a formal review of CSL, currently underway.